Apologies for being AWOL the last couple of days, I’ve been super busy at home then ended up with a splitting headache yesterday. 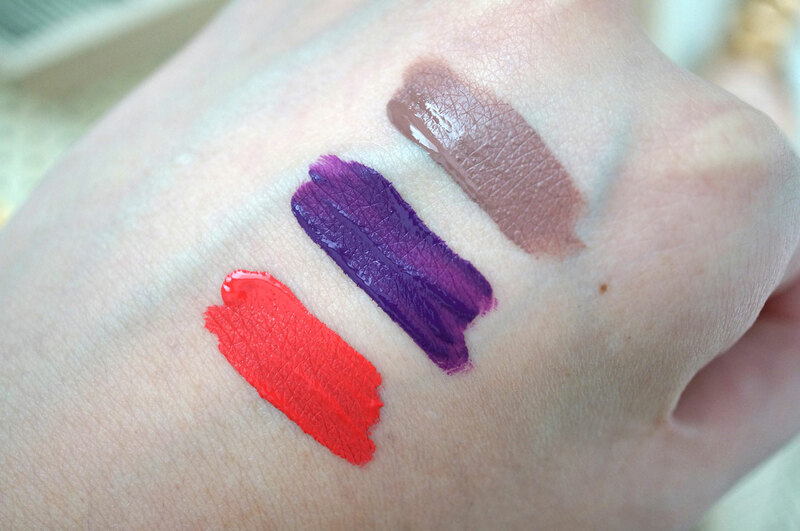 I’m back today though with some gorgeous liquid lipsticks to share with you! I’ve had these little beauties for quite a while now, but I’ve been really busy lately so I’ve only just got around to reviewing them. 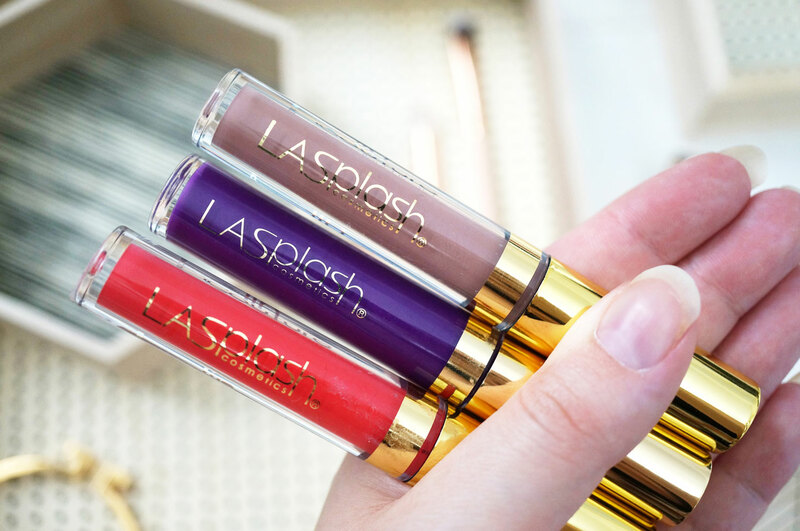 LA Splash had been vaguely on my radar for a while, but for some reason wasn’t really a brand I was interested in – I think this was just because they’re US based, making purchasing a bit of a pain, and I’ve been trying to save money too. 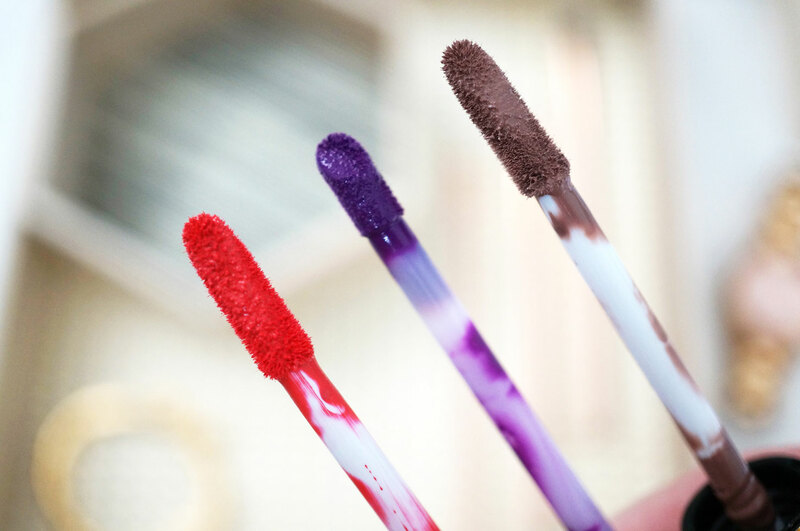 It was only when I saw these liquid lipsticks up for sale in a Facebook group that I became very interested indeed! 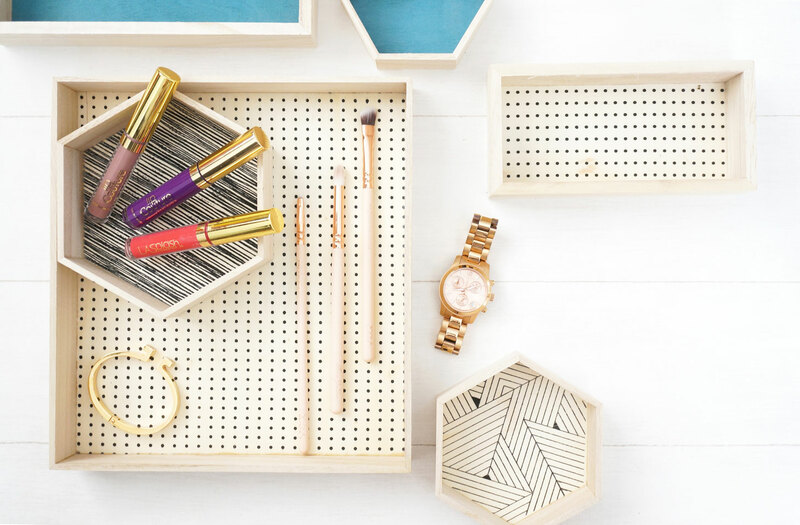 If you haven’t heard of La Splash, they’re a US based cosmetics company, known for their lip colours as well as offering a few other beauty products. 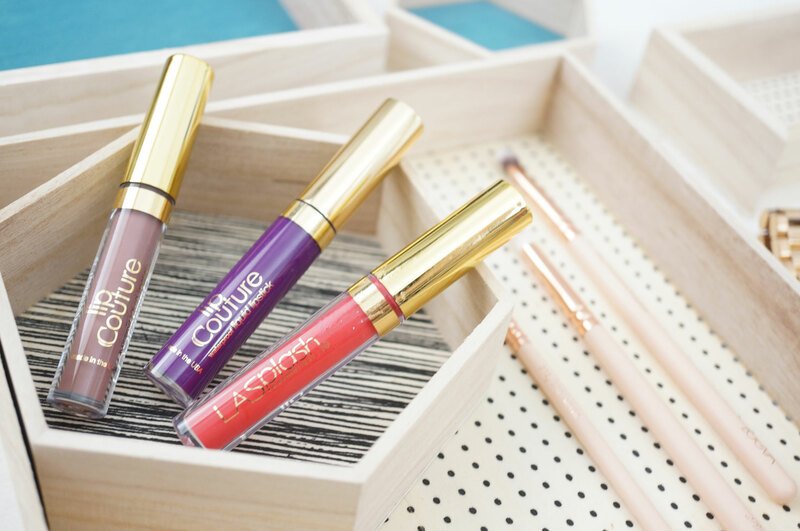 The Lip Couture Liquid Lipsticks offer rich and intense, waterproof shades that leave a velvety, matte finish that won’t transfer. They’re very much like Lime Crime’s Velvetine’s, or Anastasia Beverley Hills Matte Finish Liquid Lipsticks. If you’re a fan of Liquid Matte Lipsticks, the formula is pretty similar between the above mentioned brands, the product itself has a lovely creamy yet light texture that glides on the lips with ease, giving amazingly intense pigmentation that dries to a full on matte finish. The shades I have are (from L – R) – Ghoulish, Criminal and Simmer Bliss. Ghoulish is a beautiful muted beige with a hint of grey – or ‘greige’ as it’s now know as. Criminal is a bright and intense mid purple. Summer Bliss is an orange toned bright coral. I’m not sure why, but the applicator for Criminal is slightly different to the others. Maybe this was produced at a different time? I didn’t buy these originally myself so I’m not sure! Ok so I’m in love with these shades! They’re by no means the easiest to wear colours, but I think they’re fab none the less. The formula is definitely one of my favourites out of all the liquid lipsticks I’ve tried, but as always, you need to make sure your lips are in tip top condition before applying, as liquid lipsticks are not very forgiving, and will highlight any dry areas on your lips which never looks good! And because this stuff does not budge at all (it seriously takes a lot of rubbing to get this stuff off) LA Splash also offer a Shea Butter Lip Couture Remover, which has been specifically made to remove this product. I haven’t tried it though, I’d love to hear if you have and if it’s any good? I think it’s a fantastic idea if it works! 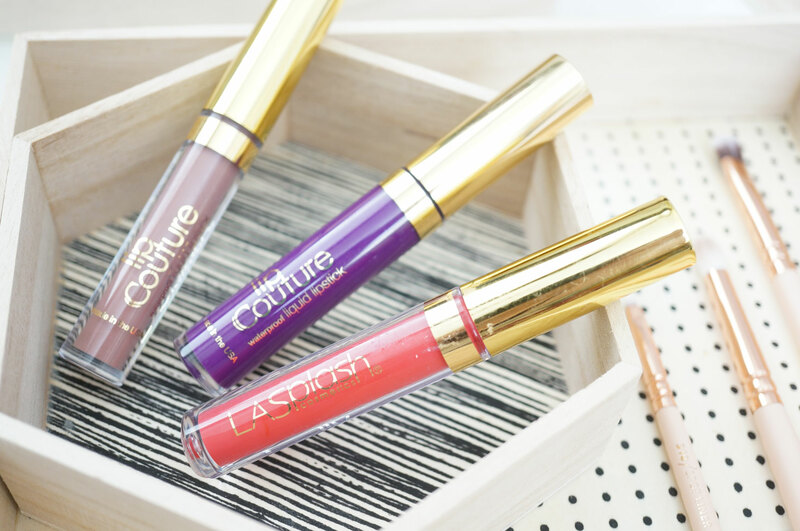 LA Splash’s Lip Couture Liquid Lipsticks are $14 (£9.07) at LA Splash Cosmetics. Previous Post Gorgeous Stationery From Too Wrapped Up! Next Post How Is This Okay? Whoa! Those are some fabulous colors. 🙂 Though I agree they are not the easiest to pull off. Love how pretty the picture is! the packaging looks really nice.